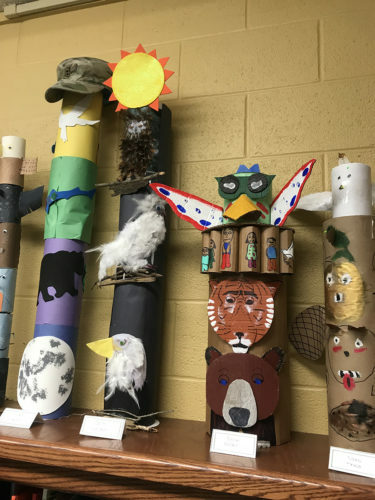 4th grade FUSE students created family totem poles as a conclusion to their Native American unit. 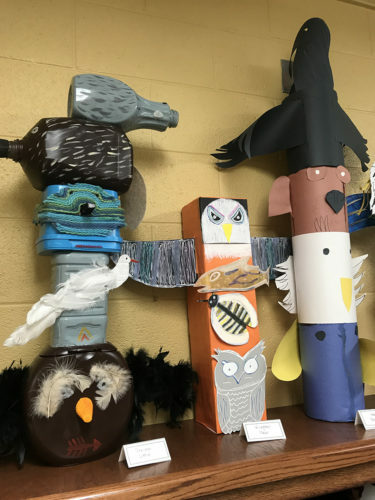 Their creations are currently on display in the Lower School library room. 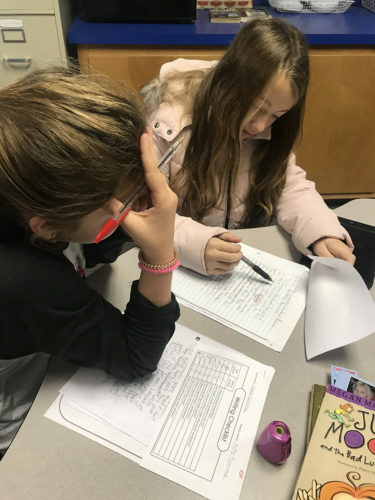 FUSE writing students peer edited their current writing projects, as they worked through the steps of the writing process. 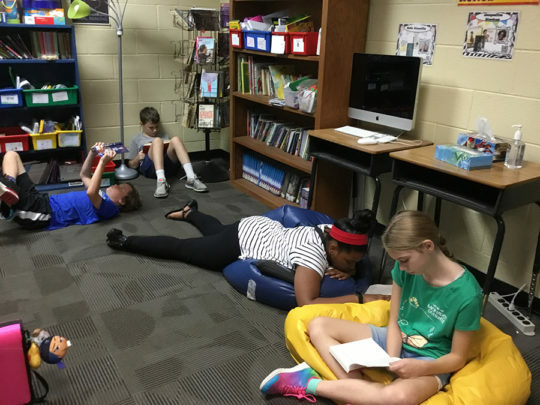 This year, FUSE students are working on a book challenge. 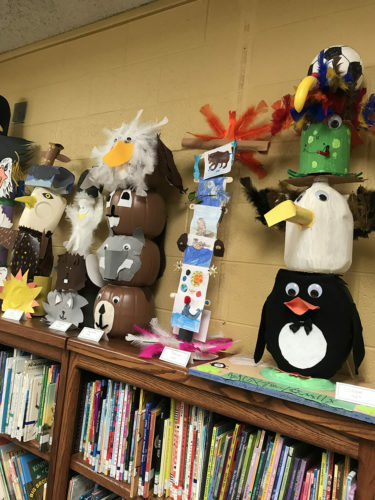 So far, 5th-grade students have read 317 books, and 4th-grade students have read 168 books. Way to go FUSE students! Keeping reading, keep reading, keep reading! 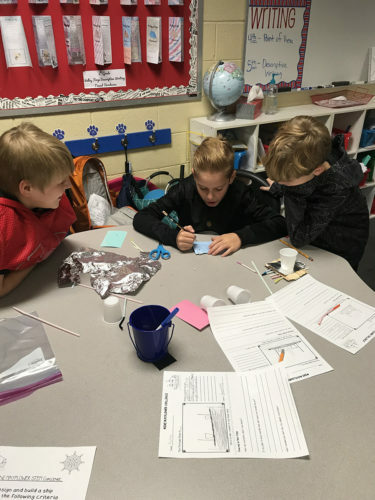 4th grade FUSE students worked on teams to create a mini Mayflower ship. 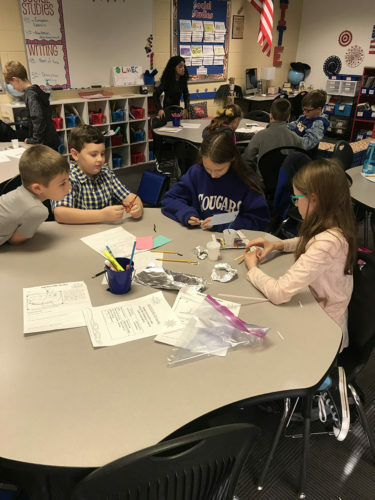 Students were given materials, and tasked with creating a ship that would float and bear weight. 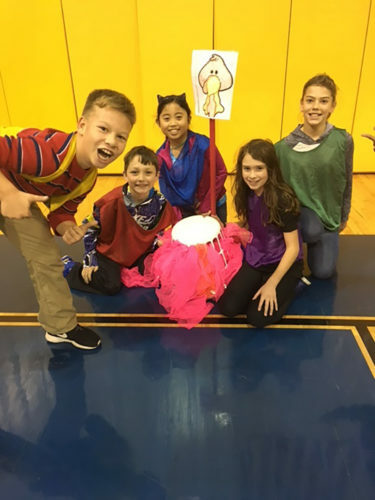 Lower School students loved playing Turkey Tag! A harvest of good work and generous giving. 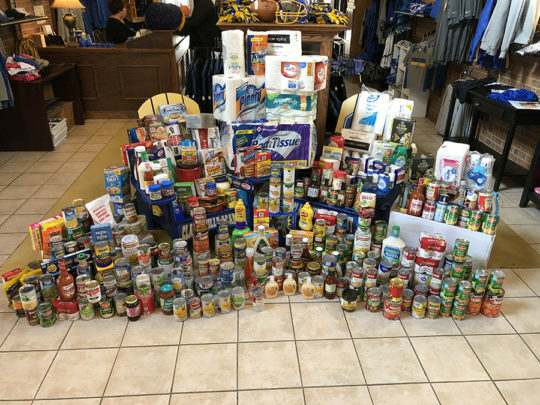 As a service project, Lower School students collected items for the Jingle Bell Food Drive for Loaves and Fishes. Thank you to all who gave nonperishable food items and canned goods. During homecoming, second grade students raised $463.45 for the American Red Cross. 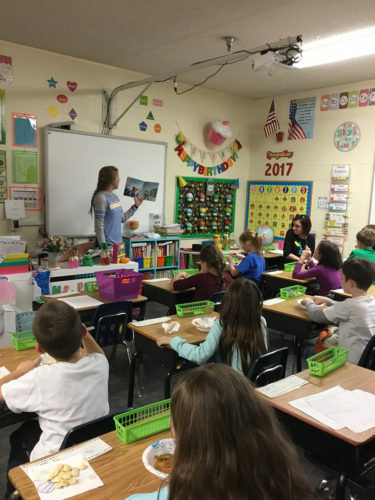 This past week, representatives from the Clarksville-Mongomery County Chapter of the American Red Cross visited the classroom to accept the donation and speak with the students about the help and support the charity gives. 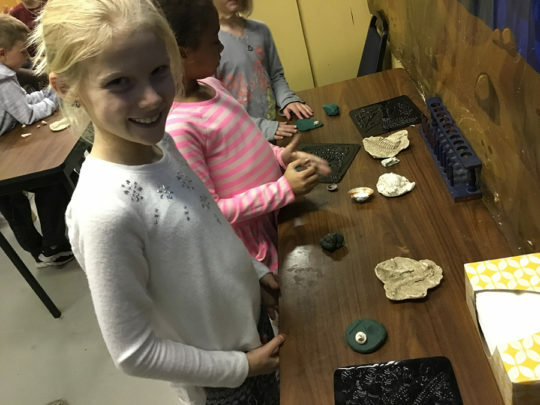 Second grade students made Stone Soup! 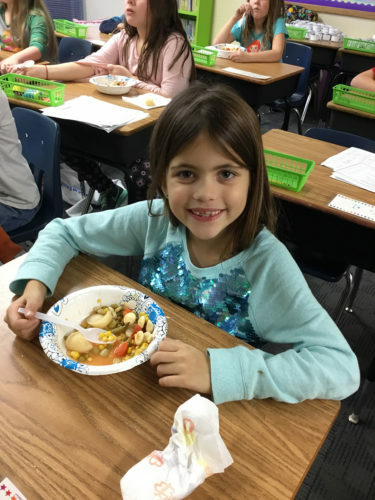 Throughout the week, the students read different versions of the folktale “Stone Soup.” The students brought in a variety of ingredients including corn, beans, carrots, potatoes, and peas. We mixed them together to make the soup. The students enjoyed getting to taste the soup! 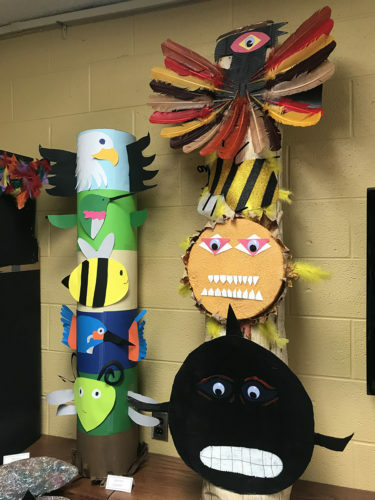 Mrs. Samuels class made thanksgiving glyphs. 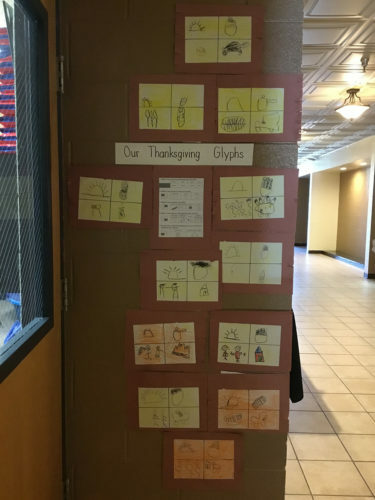 It tells about what we enjoy about thanksgiving. 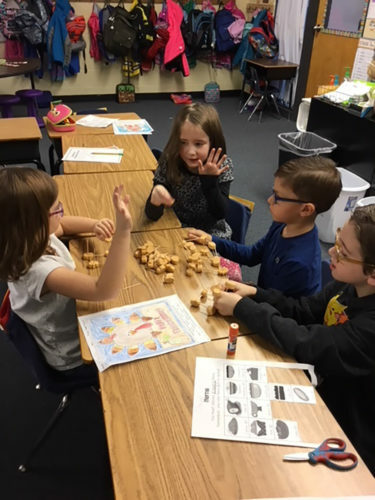 The 1st grade STEM challenge was to build a structure using toothpicks and marshmallows. 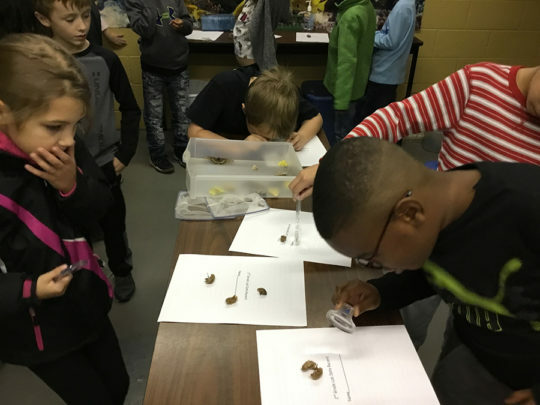 Third graders continue their study of Ecosystems. We discussed the effects of natural disasters on ecosystems and inhabitants. 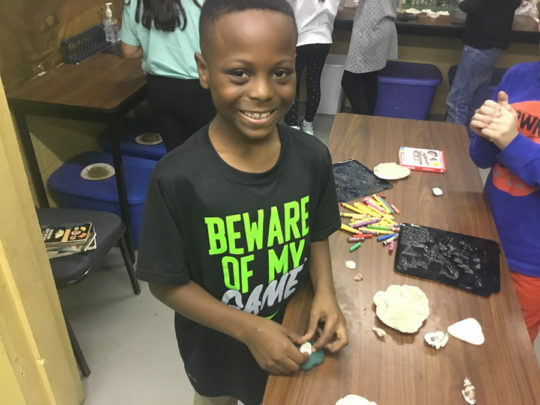 We observed fossil examples, made fossil rubbings, and shell imprints. We reviewed vocabulary: extinction, endangered, perish, and relocate. 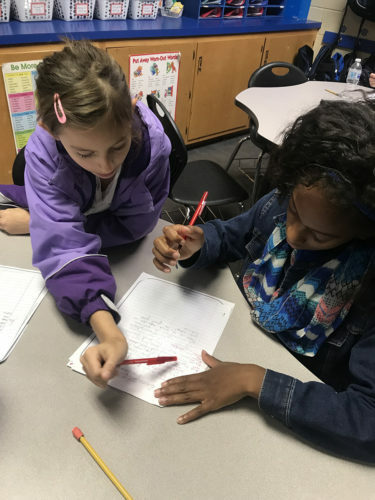 Second graders compare different animal groups-Insects and Fish. Students recorded, in their lab data books, contrasting body types. 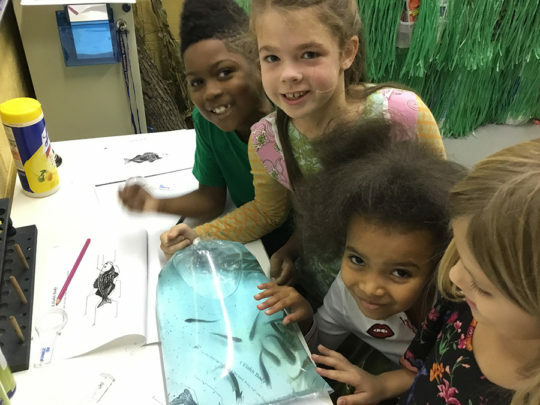 We examined multiple insects and noted gills and fins on our fish examples. 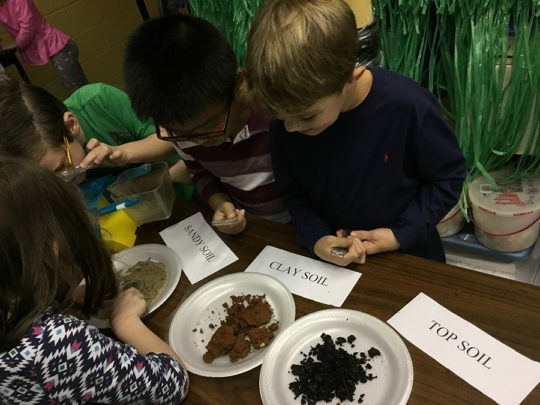 First graders continue their study of Natural Resources. 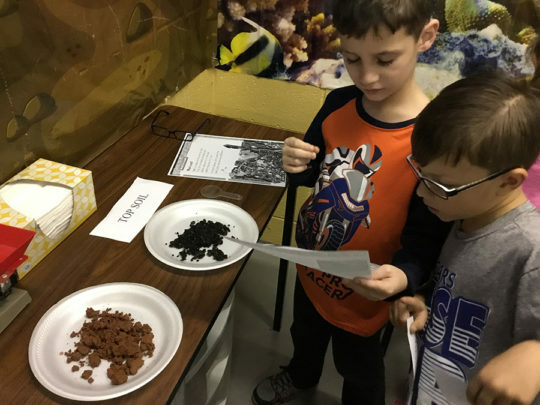 They identified different types of soils based on characteristics associated with each one. They used balance scales to compare weights of soils, and magnifying glasses to examine textures.